Earlier this year, YouTube introduced an “experimental” HTML5 video player. And just yesterday, an article in The Register detailed how Virgin America, Richard Branson’s low-cost U.S. airline, has ditched Flash on its new website, which launched on Monday. What to make of this? It’s obviously yet another sign that the battle between HTML5 and Flash has already begun. But it remains to be seen just how big that battle will become. In the case of Virgin America, the decision to ditch Flash had a lot to do with just how little the airline was using Flash’s capabilities. Simhambhatla noted that “we weren’t using any Flash features except transition from one ad to another“. In other words, Virgin America wasn’t doing anything with Flash that couldn’t have been done with the technologies it’s now using on its new website. Given this, I don’t think it makes sense to read too much into Virgin America’s decision to drop Flash. After all, it’s clear that the airline’s investment in Flash was about as minimal as it gets. But the decision does highlight the fact that HTML5 will force companies to rethink how they’re using Flash and whether their use of Flash is really necessary. In some cases, that might not be such a bad thing. What’s most interesting to me is Virgin’s apparent belief that an iPhone-friendly website is so important. Obviously, Virgin America could have avoided the Flash issue altogether by focusing its efforts on a native iPhone app. Instead, however, Virgin America seems to be banking on the notion that a good number of iPhone users will increasingly turn to the mobile web, and not the App Store. If there’s a real story here, that, not HTML5, might just be it. Photo credit: justinsomnia via Flickr. I wrote an article recently about the use of e-commerce trustmarks and how important it was for sites to display trustmark logos. Though they may help some sites, trustmarks alone are not the answer, and factors such as brand trust, price, usability and good design all combine to reassure customers about making a purchase. A recent post on the FutureNow blog makes this point, and argues that the need for ‘costly’ security indicators, can be avoided with good cart / checkout design. NBC has a new social strategy for the Olympics. But old prime time habits die hard. 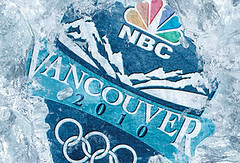 With the impressive dedication that NBC and its top advertisers have taken to the internet for this Olympic games, some have gone so far to dub the 2010 Winter Olympics the “Social Games.” But there is one small snag in NBC’s rush to move toward real-time. The network still isn’t showing video of major sporting events in real time — online or often even on television. video content until prime time. It also doesn’t help that NBC is giving spoilers with its live blog coverage.